As we get nearer to the launch of the Apple Watch, more and more details about the highly anticipated wearable product are coming to light. This time, a new bit of information has emerged regarding the expected jewelry-style treatment of the product’s high-end model in Apple retail stores. As reported by 9to5Mac, Apple will be using safes to hold the gold Apple Watch Edition, which is the most expensive in the Apple Watch range that also includes stainless steel and aluminum models. 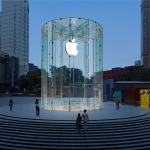 Apple is said to have started equipping some stores with the safes ahead of the Apple Watch’s forthcoming launch. Given the expected expensiveness of the gold edition, it makes sense for Apple to adopt a treatment for the product that’s normally reserved for items in jewelry stores. Indeed, don’t be surprised to see some parts of Apple retail stores start resembling jewelry shops in the run-up to and following the launch of the Apple Watch. Headed by former Burberry CEO Angela Ahrendts, Apple’s retail department is likely to introduce significant changes to the company’s retail stores to help promote the fashionable and luxurious Apple Watch. Apple retail stores may adopt a manner of presentation similar to the glass showcase and hands-on display used by Apple during the Apple Watch’s special appearance at the French fashion retailer Colette in September. Apple is also expected to revamp its retail store displays to accommodate the entire Apple Watch line, which includes different sizes and band styles as well as different color finishes, and allow customers to try them on. Apple is also hiring experts from the fashion industry to help in the marketing of the Apple Watch, and Apple retail store employees are getting new attire beginning Monday, Feb. 2, to better match the fashion accessory they will soon be selling. According to Apple CEO Tim Cook, the Apple Watch is set to be launched sometime in April. The device is confirmed to start at $349 for its low-end Sport model. Pricing is yet to be announced for the Apple Watch and Apple Watch Edition versions, although the gold high-end model is rumored to go for as high as $5,000. See also: Apple is now the top luxury gift provider in China, Apple has changed a lot in the past 8 years, and Noted analyst chimes in on launch of Apple Watch and rumored 12-inch MacBook Air.